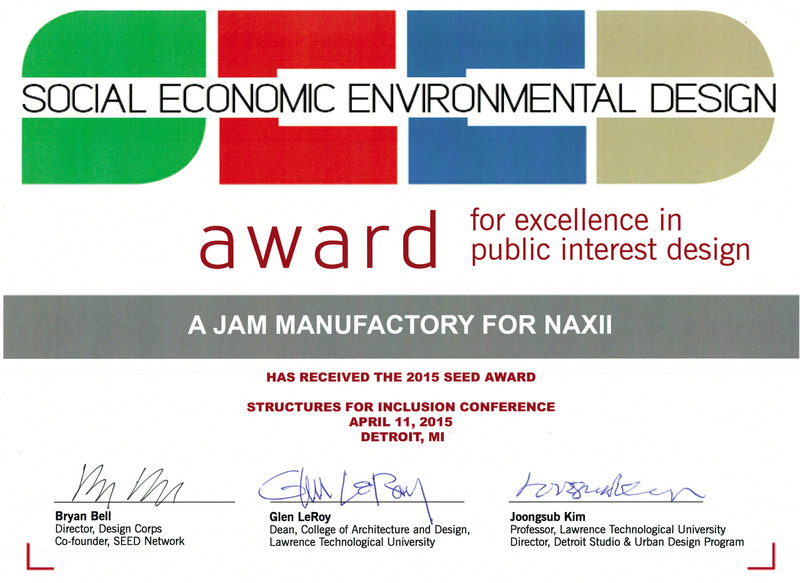 Great news for an amazing project: the CoCoon DesignBuild project A jam manufactory for NAXIÍ has been awarded with the international SEED Award for Excellence in Public Interest Design. Design Corps, the Social Economic Environmental Design (SEED) Network, and Lawrence Technological University (LTU) announced that six projects have been selected as winners of the SEED Award for Excellence in Public Interest Design through a competitive jury process. The SEED Award recognizes designs that address the critical social, economic, and environmental issues in the world. Winners were selected by an esteemed jury based on the following criteria: Effectiveness, Excellence, Inclusiveness, Impactful, and Systemic and Participatory. Jury Review for the CoCoon DesignBuild project A jam manufactory for NAXIÍ: A beautiful building and effective, respectful cross-continental collaboration between the women of NAXII and TU-Berlin to use a surplus local resource into an empowering economic product. Relationship between design students and local residents by having them hosted by families. The project was presented by Ursula Hartig and Nina Pawlicki at the fifteenth annual Structures for Inclusion conference, co-hosted by Lawrence Technological University (LTU) in Detroit, Michigan on April 11 and 12, 2015.